Those who watched the “Faded Blue Planet“, will know that Japanese denim originated as a reproduction of the American brand Levi Strauss. Levi’s are a mass produced, run of the mill denim, so what makes them so special? As with all great things, there are often humble beginnings. 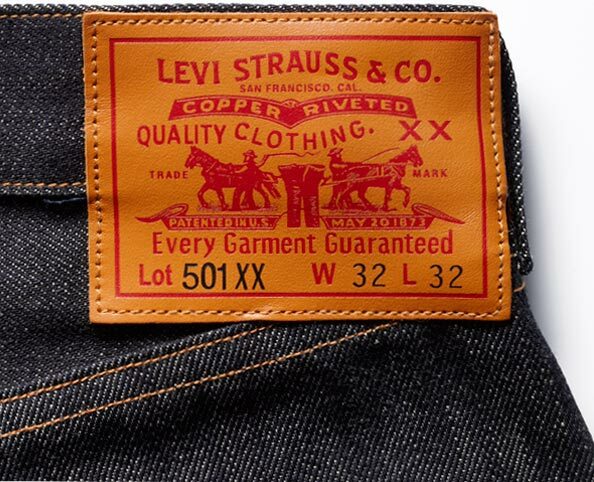 Levi’s were one of the earliest makers of jeans in America. However, back then the appeal was for the workers, who required strong and durable work pants. Levi’s along with Jacob Davis came up with jeans that used copper rivets to strengthen points of strain on their work pants. Jump ahead a few decades and suddenly Levi’s were being worn by younger generation, where it became a fashion trend. 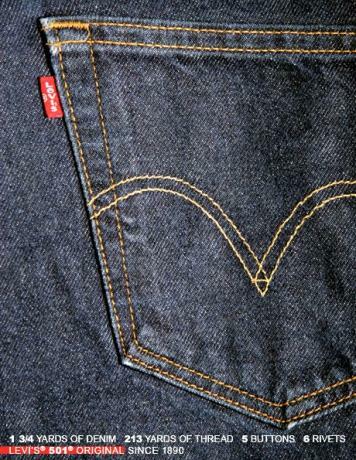 The LEVI’S tab – the iconic red tab on the back pocket of all their jeans at the time. As many of you will know, the “Big E” Levi’s are those that were manufactured before 1971, being some of the originals, whilst the Levi’s made after that date have a lower case “e” on the back tab. Pocket arcuates – the double arcs on the back pockets of Levi’s are the most commonly seen design today. Rivets – what made the jeans so popular to begin with. Rivets were used to strengthen stress points. Button fly – the original, and what is considered to be the most proper. 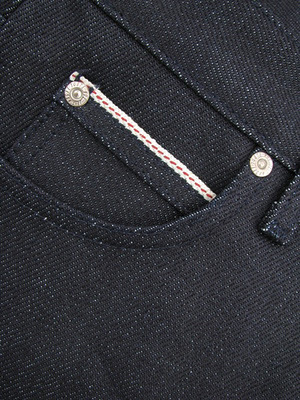 This is why most denim enthusiasts will opt for the button fly over a zip fly. Leather patch – the patch on the back of the jeans with two horses pulling a pair of Levi’s in half. Coin pocket – that fifth pocket most commonly above the right pocket. One of the features every pair of jeans now has. You will find ALL these features on the Japanese repro’s of today. Many companies have also faced legal action for copyright infringement of the Levi’s red tab, pocket arcs and even the leather patch, however you will still see many similarities between popular repro brands and the original Levi’s. That said, the Levi’s jeans of today offer more form than functionality. They no longer have to cater to the labour work market and now mass produce their jeans using cost-effective methods and materials for greater profit margins. This is where the Japanese repro’s come in. Many of the top tier repro’s will be handmade to an extent – some are even completely handmade. Furthermore, they tend to use unique materials – offering high quality denim which are specially created for individual jeans. The construction of the fabric is what gives the denim the character and unique look when faded. The weaving process is very specific in creating the warp and weft and the tightness or looseness of the denim. The dyed yarns run across the warp giving the denim the indigo colour, whilst the undyed yarns run across the weft creating “slub” in the denim. The thickness can also be varied for different weights as some of the Japanese brands have denim weighing over 26oz. The leather patch is also an important and overlooked aspect. A small feature which really helps to define a pair of jeans. Japanese repro’s take this one step further by offering a range of unique leathers and materials which age with the denim. Last but not least, the repro’s often make use of the hidden rivets seen in the original Levi’s to reinforce areas such as the back pockets and the crotch to provide enthusiasts with the form and functionality that the original Levi’s were known for. Anyone with a quality repro will be able to agree that not only do they look great, they are also a lot more durable compared to other brands on the market today. This is a needlessly and endlessly debated topic and in the end will come down to your personal preference. We’re only trying to steer you in the right direction. Take everything you hear with a grain of salt because everyone seems to have their own way of doing things. Experiment and see what works for you. There is NO right or wrong way to wash your jeans! The first thing you should remember is, jeans are just pants! No need to get all technical about it – that is what they are and that is how they should be treated. I will be completely blunt in saying that your pants cover quite probably the smelliest areas of your body. No matter how clean or dirty you are down there, sooner or later without washing your jeans there will be a build up of bacteria in your denim. I’m sure there there are some with odd fetishes out there, but for the majority of us – not many people are going to appreciate a smelly pair of jeans regardless of how well they have faded! It is fine to hold off the first wash for as long as possible. Put this in context, and don’t hold off that first wash if you know your jeans are dirty. Remember that cotton is organic and bacteria will eat away and weaken the cotton making it more prone to rips and tears. There is now this ridiculous image which is now associated with raw denim including everything from not washing jeans to putting objects in jeans just so they will fade in. People even go so far as to using sandpaper and other ways to forcefully fade their denim. 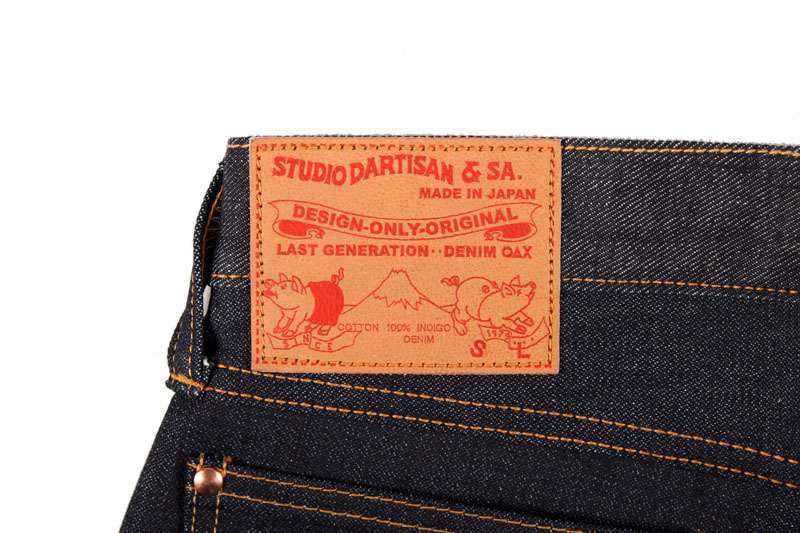 This is really not what raw denim is about – it is about creating a personalised pair of denim! What that means is; if you actually use those knuckle dusters in your back pocket on a regular basis, then great – you actually have a reason to put them there. Although you will probably be labelled a tool if you have knuckle duster fades, regardless of how often you use them. It is just tacky so don’t do it! We tend to use soap regardless of whether we soak or wash. This will lead to slightly greater indigo loss but we like to keep our jeans smelling clean. We recommend using organic soaps as they are vegetable based and don’t contain active chemicals that will lead to unwanted indigo loss. We just use the Dr Bronner’s that we give away with our orders, but there will not be a noticeable difference between organic brands. Soaks are quite useful for a number of reasons. They do not agitate the denim as much as a wash and will minimise indigo loss and keep your jeans smelling clean. However, this is not suitable if your jeans are soiled – they obviously won’t clean as well as a wash but are great if like us, you are sitting in a chair for most of the day. We base the frequency of our soaks on the weather and what we get up to in our jeans. Usually in summer if we are sweating considerably in our jeans and don’t want them to get stinky – we’ll give them a soak in detergent every two weeks and in the colder climate I can go up to a month without them smelling. We recommend 2 tablespoons (about 20mls) of Dr. Bronner’s, but use whatever suits you. Flip your jeans inside out and soak in cold water overnight. This is pretty self explanatory – we tend not to do this one because for the most part, we’re pretty lazy, but if you are especially bothered you can hand wash your jeans the same as you would do with any other piece of clothing. This is gentler on your jeans and would be how they used to do it back in the day. A machine wash will obviously provide a more thorough clean than a soak, but will also remove more indigo. Fading comes with wear and wash – so it is a good thing to wash your jeans. Put your jeans in a machine wash once a month. Do a soak for about 30 minutes then place them flipped inside out into the machine with 2 tablespoons of Bronner’s and use a regular wash cycle. You will want to wash your jeans by themselves as the indigo will bleed onto other garments if not careful. The difference between a hot and cold wash is that a hot wash will cause the denim to shrink more, and lose more indigo, whilst a cold wash will retain more indigo. We tend to use cold water as we prefer wash our jeans a fair bit more frequently than purists. I like to put my jeans in a machine wash once a month. I do a soak for 30 minutes usually before putting my jeans flipped inside out into the machine with 2 tablespoons of Bronner’s and use my regular wash cycle. You will want to wash your jeans by themselves as the indigo will bleed! The difference between a hot and cold wash is that a hot wash will cause the denim to shrink more, and lose more indigo, whilst a cold wash will retain more indigo. I tend to use cold water as I wash my jeans quite frequently compared to others. Never done this one ourselves but by the sounds of things people like to wear their denim into the ocean, come back out and cover themselves with sand and then rinse it off again. This is done because the salt in sea water is said to help retain indigo in the jeans, whilst the abrasive sand gives the faded areas more contrast. You will end up smelling like a fish in the sea, so if you were to follow this method we would suggest doing at least a soak once you get home. Maybe even go so far as to wash it, as despite what others have said about jeans looking and smelling clean afterwards, this probably isn’t really the case as the shallower waters are usually the most polluted. Try stay away from this one as well. Those who use this method usually use it to remove spot stains – there is no real need to do this. The dry cleaners use strong chemical solvents to remove stains and clean fabrics which will affect the fading. Soaking and machine washing at home is the better option. This is the most important step when buying a pair you are not able to try on first. You will find a lot of brands use different methods of sizing – most of what you find in the retail market will be vanity sized meaning the tagged size is actually smaller than the actual size. While most artisan brands use true measurements – there are other factors influencing the way the jeans will fit. You will find a dizzying amount of information on forums such as Styleforum and Superfuture on how to size your pair, or even just drop the retailer an email and they should be more than happy to help. Make use of the measurement guides and if you are able to, compare them to a similar pair you already own so you know what to expect. It is highly advisable you do your research and get your measurements right before buying. It sounds like common sense but it is amazing how many people ignore the information given to them and size wrongly. Also remember that as retailers we can only give you general sizing recommendations based on the information you give us – we try to offer the best advice but where possible you guys have to put it in your own hands to compare measurements. This is extremely important to know about your denim. Most denim will be sanforized by default unless otherwise stated. Denim shrinks. A lot. The sanforization process basically removes MOST shrinkage so you need to watch out for this. Sanforized denim will still shrink slightly after a trip in the washing machine but should stretch back out after a few washes. You will find that unsanforized denim will shrink a great deal – the general rule is to try a size down before you buy as that is generally what the denim will shrink to. It is very important to read the manufacturer or retailer’s instructions on how to size unsanforized denim because what you see is not what you get. The first thing you should do after buying a pair of unsanforized denim should be to always always ALWAYS soak before wearing. This will hopefully get rid of most if not all of the shrinkage before you start wearing them in. Also keep this in mind before you alter your pair of jeans! Sanforized or not, hot water will bring about the most shrinkage. It is advised to do a hot pre-wear soak and an air dry to get rid of most shrinkage – some people will even do 2. This is just the general rule and may not apply to every pair of jeans out there. Often when dealing with premium Japanese denim a pre-wear soak is done even on sanforized denim just to get rid of the excess starch to soften up and prolong the life of the denim. Raw jeans will bleed indigo – you will find that even washed jeans will bleed a small amount onto your shoes, however un-washed jeans will generally bleed a LOT more. We have heard many stories about indigo stains to light coloured surfaces that your jeans frequently rub across – shoes, shirts, bags, underwear even furniture! Furniture is probably what you guys need to worry about the most – avoid sitting on light coloured fabrics, particularly expensive furniture such as car seats and leather couches. This is a very brief guide for beginners – I know I was asking these kinds of questions when I bought my first pair. I am going to be blogging a series of posts that I hope will help most people understand raw denim and hopefully convert some of you to becoming denim-heads yourselves! Starting with the basics, “What is raw denim?” is probably one question most are asking, which typically leads to, “Why the hell does it cost so much?!”. We just want to cover these two questions briefly so all you potential denim heads know what you’re getting yourselves into. 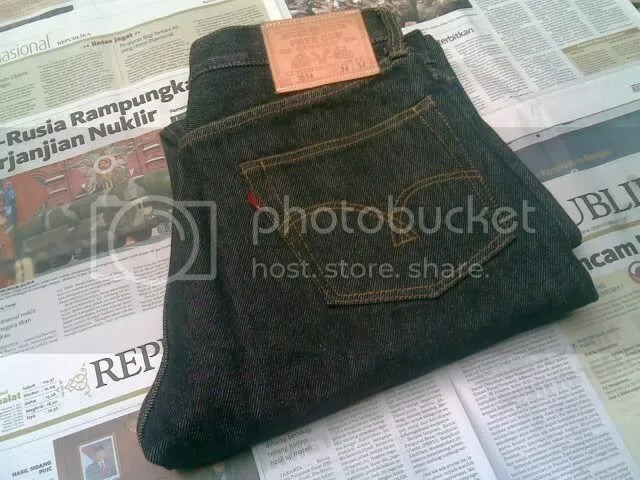 Firstly, “What is raw denim?” Basically raw denim is unwashed and untreated denim which given enough wear and time, will evolve to individualizing each person. Instead of buying jeans that have been washed to purposefully create fade and wear – raw denim starts off as usually a uniform and dark colour due to the dye retained in the denim. Over a combination of time, wear and washing the dye will “fade”, most prominently in areas that have been subject to the most stress. Wearers will notice that items kept in pockets will become apparent, as well as the folds and creases around the upper thigh and behind the knees just to a few general areas. Now to make sense of the polarizing price points of unwashed denim. 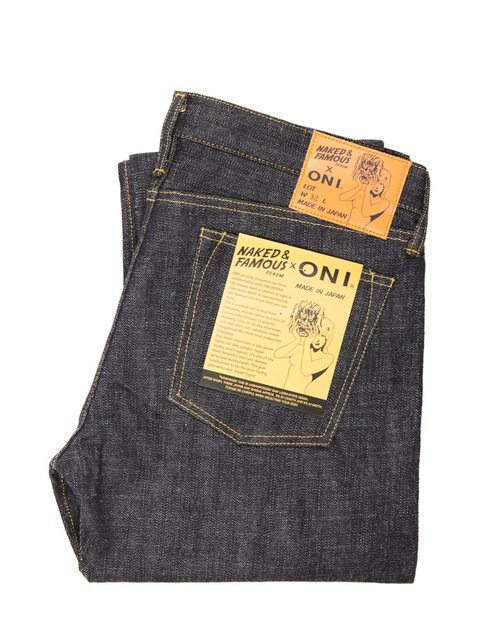 Many will have noticed by now the prices of denim can range from $85 Unbranded’s to Nudies which retail for around $240 up to some of the most premium Japanese brands such as Iron Heart which go for $350 up to $450. 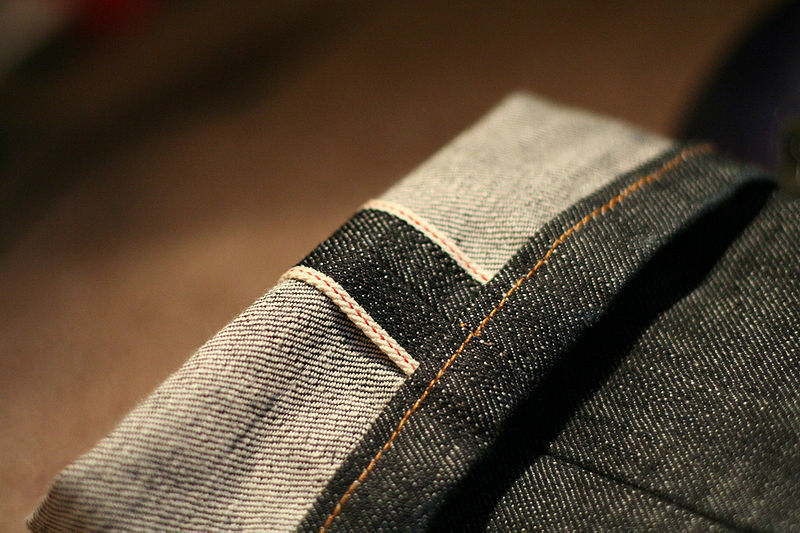 To begin with, raw/unwashed denim is not limited to the “Japanese selvedge” that we sell. The difference is in the quality. 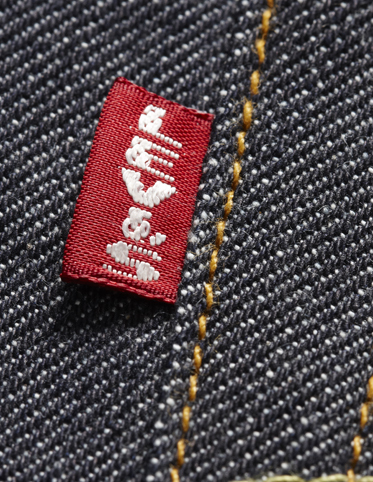 Japanese denim is hands-down the highest quality denim in the world – no question about it. You will see even high-end fashion brands such as Dior producing separate denim lines incorporating Japanese denim. The reason for this without getting into the technicalities is that Japan has the best denim mills that dye and weave denim differently to mass-produced denim. As a result Japanese denim has greater character – they can have amazing qualities such as “slub” as well as more detailed fading properties. 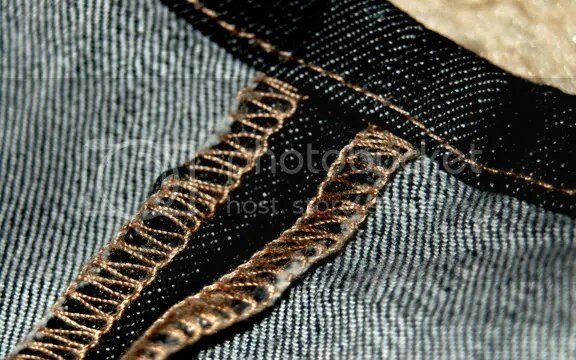 The term “selvedge” is often associated with Japanese denim and it refers to the by-product of creation on a shuttle-loom. Selvedge denim is generally of higher quality than regular denim and gives the jeans a nice edge in the out seam of the pants. The purpose of this selvedge is mean to be so the denim does not unravel itself and is traditionally used as a mark of quality. However more mainstream retailers are beginning to promote selvage in their collections but the same stringent quality controls are likely non-existent. Finally there are two things you pay for in most clothing you buy – brand and quality. We often automatically associate branding with quality, however that is definitely not the case with most retail jeans. Brand names such as Nudie, G-Star and many more mainstream brands give off the perception that brand and quality correlate – however you will find that you are really paying for the brand. For instance – the big name brand Nudie uses denim from all around the world that for the price point – are far inferior in characteristics to what you would find in a similarly priced premium Japanese label. The fading properties area also less pronounced than Japanese brands due to lower quality dyes used and less dipping (some Japanese brands dip and dry their jeans in dye over 47 times resulting in more pronounced fading). Quality generally relates to the Japanese labels as their manufacturing procedures are a lot more complex using stuff most people wouldn’t even give a second thought to such as hidden rivets to reinforce and strengthen the denim, unique dying techniques to give their denim more character and higher quality hardware to withstand even the most rigorous of activities. I could really go on and on about this topic and into much further detail, however to save your boredom I will stop here. This is part 1 of our Understanding Denim series. I hope this is met well so I can keep these kinds of posts coming. Show your support by leaving a comment, and most importantly joining our Facebook and Twitter accounts! *EDIT* Rather than me posting images of other peoples jeans which may cause a bit of trouble – if you guys would like to check out some fine examples of faded denim check out Styleforum (We have a thread on there – check that out too! ), or Superfuture. If any of you guys have pictures you want us to put up – send it our way and I will make a post about them.